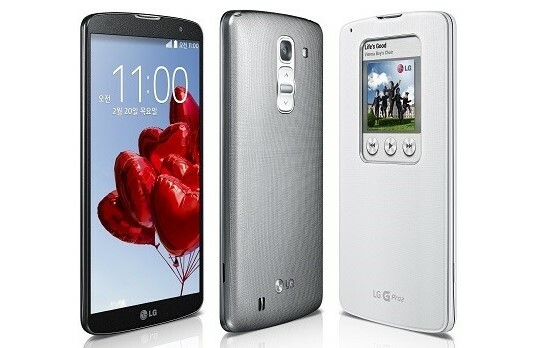 LG has officially unveiled its latest flagship Android smartphone – the LG G Pro 2. It boast a stunning 5.9-inch FULL HD IPS display with extra slim bezel of 3.3mm, new user interface and runs on the latest Android 4.4 KitKat out of the box. It is powered by a quad core Snapdragon 800 processor with 3GB of RAM together with an Adreno 330 as its graphics processor. The LG G Pro 2 is actually the successor of last year’s Optimus G Pro, but it looks like a larger LG G2 with similar design and button placement. Check out the rest of its features, specifications, price and availability below. The new LG G Pro 2 comes with a new powering on and unlocking process called the KnockCode that makes unlocking easier and more convenient. Knock Code allows owners to power on and unlock their G Pro 2 smartphones in one easy step, by tapping their screens using one of 86,367 “knock” combinations. Thanks to LG’s intelligent algorithm and advanced hardware, the knock pattern can be entered on any area of the screen — whether the display is turned on or off — using anywhere from two to eight taps. Aside from the KnockCode feature, it also comes with a 1W Hi-Fi Sound making the speaker 30% louder compared to the LG G 2. Aside from the processing power and stunning display, the LG G Pro 2 features an enhanced 13 megapixel rear facing camera with OIS+ or Optical Image Stabilizer Plus technology featuring anti-shake functionality, giving you better quality pictures when in motion or in low light situations. The camera can also capture 120 frames per second HD Video recording which allows slow motion editing. It can also record 4K Ultra HD resolution, ready for those 4K TVs and monitors. Its camera also features Burst Shot, Natural Flash, Magic Focus, Gallery Collage and Flash for Selfie. 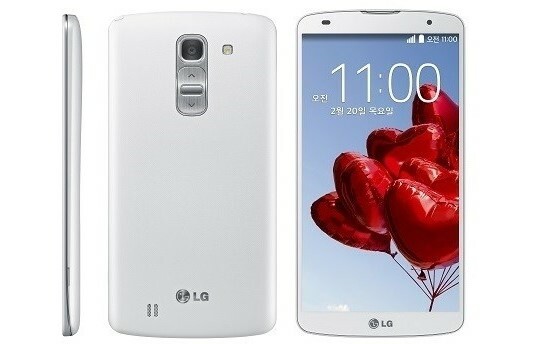 The LG G Pro 2 is expected to be released in the market this March in Korea first. Then it will be released in the US by April and in EU by May. Other Asian countries will get this phone after it is released in Korea. Probably the LG G Pro 2 will hit Philippines by April or May as well. Exact retail price of the G Pro 2 is currently undetermined, but I am guessing it will be around $700 USD more or less.